Have you ever wondered the proper way to capitalize a headline for an article? Or perhaps the subject line for an email? This simple website will do it for you. 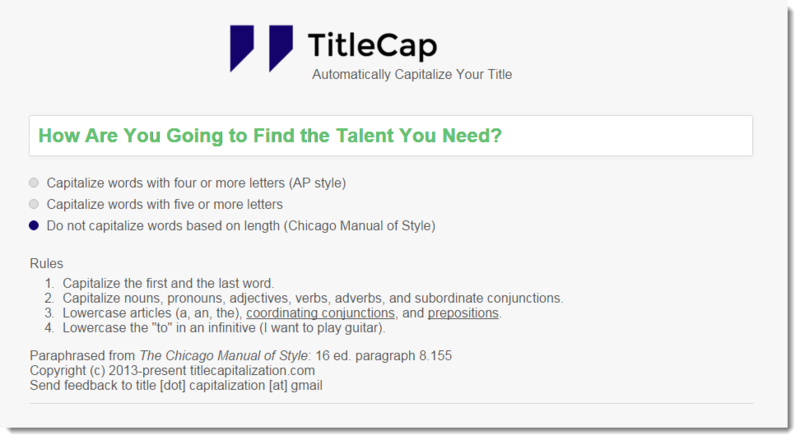 TitleCap does one thing — automatically capitalize your title. You can choose AP Style or Chicago Manual of Style as the guide. The rules for each are included if you are interested.